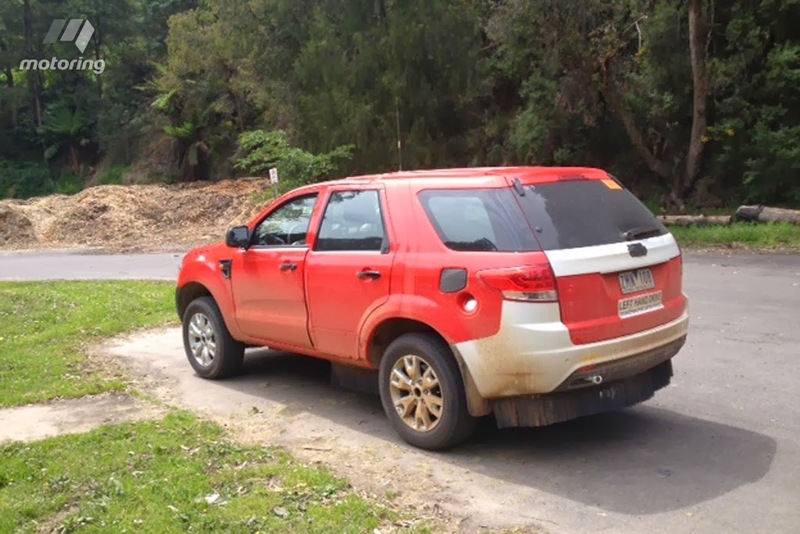 Spy shots of the Australian developed Ford's Endeavour has surfaced on the web. The images captured here are those of the pre production prototype and hence fitted with some loose parts, or parts with some uneven gaps. Motoring.com.au ran this image accompanied by a report which claims that the new Endeavour would be 100mm longer than the Territory. The extra length would make the cabin roomier for second- and third-row passengers. The new Ford Endeavour would start its production at its Thailand plant in 2015, as we all know by 2016, Ford would be shutting its Australian plant. Motoring Australia is regarding the 3.2-litre five-cylinder engine, and a 2.2-liter four-cylinder engine as top candidates. Transmission choices would be a six-speed manual and automatic units. Stay tuned for more information on the same.